AFP seeking a way out of government procurement rules? The Government Procurement Reform Act (RA 9184), which currently governs all government procurement activities went into effect eight years after the Modernization Law. 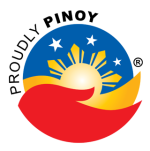 The complexities of the law’s checks and balances have been blamed for much of the delays in the implementation of the modernization program. Among the issues is the primacy of bidding as a means of acquisition. Both the DND and Commission on Audit have bewailed the AFP’s lack of procurement expertise, which have reportedly contributed to the glacial pace of the modernization program. In response to the issue, Senators Juan Ponce Enrile and Panfilo Lacson submitted separate AFP Modernization bills that sought to exempt the AFP Modernization program from the requirements of RA 9184, and allow it to develop its own procurement system. Passage of this law would have widespread implications for the law itself, which the Government Procurement Policy Board is still laboring to promote throughout the government establishment. If one government entity is exempted . . . what is to keep other departments from seeking the same? What will happen to the body of knowledge and best practices built up over the past 8 years since the law was passed? Are the perceived difficulties with procurement law a function of defects in the law, or are they the result of shortcomings in the expertise within the DND-AFP? The latter forum is a venue where Philippine government procurement professionals, and procurement trainers from the Department of Budget and Management, come together to broaden understanding of procurement law. The following is a presentation of the challenges that the AFP faces with regard to prevailing regulation. It was written primarily for the GPPB forum, has been reposted on the Timawa forum, and is based on five-years of informal interviews with various AFP personnel who have been involved in procurement. The following essay was written to frame the still-ongoing-discussion on the aforementioned fora. Corruption is not the issue they want to address. The problem they seek to address are the perceived incompatibilities between the needs of maintaining what is arguably the most equipment-dependent branch of the government and a procurement system that by design has to cater to the needs the entire government, everything from buying paper supplies, to janitorial services, to constructing buildings. These are actually incompatibilities that BREED corruption, as creative solutions to equipment needs also create opportunities for malfeasance. The same way that poor budgetary forecasting create the need for funds conversion . . . which then give thieves a chance to get at the AFP’s coffers. There are legitimate needs for conversion (e.g., using money for bullets to buy bandages). Sadly not all instances of conversion are legitimate but happen because of a culture of budgetary make-do. Here are some real-life examples of how acquisitions were believed to have been made difficult by prevailing regulation. Whether or not this is the result of a defect in the AFP’s understanding of the law, or if there is a need to adjust the law, is unclear. I trust that if there is a place where that question could be answered, it would be here in this assemblage (referring to the GPPB forum) of procurement professionals. This was the first item acquired as part of the AFP Modernization program. 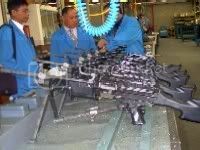 A Belgian company, FN Herstal, won the public bidding for Phase 1 of the project on March 18, 2003, and the AFP received brand new, factory-fresh, weapons that were widely regarded as the cadillacs of this weapons category. Now, the AFP has two SAWs in its inventory. Both fire the same round, but their operating parts are not compatible with each other, so unlike our standard assault rifle: the M-16, soldiers will not be able to swap components in the field if a unit is ever fielded with one of each type. It also requires AFP armorers to become familiar with more types of weapons, and logisticians have to support different weapons types. That gives Murphy’s Law a lot of room to throw a monkey wrench in support and supply. Imagine sending the wrong part to the wrong unit. At the very least that could open an opportunity for pilferage, at worst, it could cost a life. 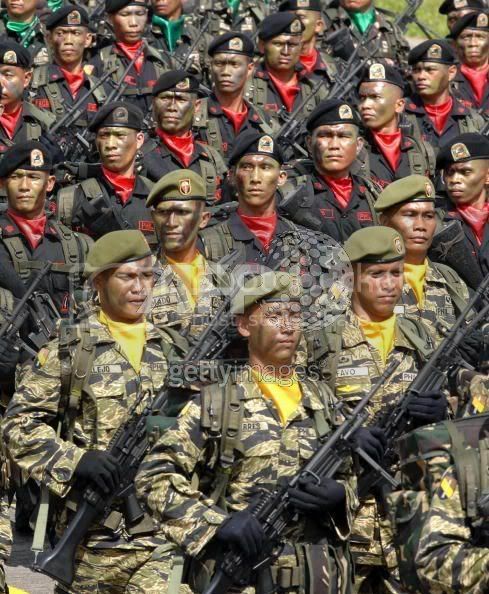 As the AFP grows, and the increasing number of units require a third batch of SAWs . . . could we be looking at yet a third SAW in the inventory? This issue has not cropped up yet since we are still awaiting their delivery, but this matter has actually already been discussed here before, and the responses from the subject matter experts here indicate that the AFP is under a Damocles sword in this situation. The PAF has a published need for 100 operational transport helicopters to meet its mission objectives. Based on numerous reports, the PAF only has 80+ UH-1 helicopters in its inventory, of which only half are operational at any given time. It is woefully lacking in assets. With the retirement of the UH-1 from the US Army in 2009, the global supplies for this helicopter type is expected decline, and consequently, the price of whatever is available — even if it manufacture new by its company of origin — will rise correspondingly. Anticipating a need for a replacement helicopter, the AFP initiated the Combat Utility Helicopter project to find a replacement. Because of budgetary constraints, the AFP is only given P5 billion a year for modernization and this amount is shared by all 3 services, the project only sought to acquire 8 aircraft. Eight aircraft . . . to make up for a shortfall of approximately 60. Without question more helicopters will be coming. It took the PAF over four years, from July 2008 to November 2011, to take delivery of just 8 aircraft. Timawans familiar with the aerospace industry point to the Philippine’s attrocious reputation when it comes to acquisition projects for high-value equipment. As reported in FlightGlobal, the general reaction to a Philippine request for bidders is often met with a rolling-of-the-eyes, a half-hearted bid, and an expectation that nothing will happen to the project. Based on discussions with the SMEs on this forum, logistical concerns are not a valid justification for a follow-on order (see “transmogifier” discussions). So we are arguably looking at yet another bid invitation for the next batch of helicopters. A bid that will be undertaken in the vendor environment shared above. The winner of the CUH bid, PZL Swidnik, was embroiled in a controversy in a separate bid project. How they, and their parent company Agusta-Westland, view future projects with the Philippines is suspect. If they do not take part . . . are we going to be faced with same situation with our helicopters that we did with the SAW project? Multiple equipment performing the same mission? A helicopter, like any aircraft, is essentially an assemblage of thousands of individual parts flying in very very close formation. Those individual parts are different for each make of aircraft. So having a plethora of aircraft in your inventory means that you cannot leverage enconomies of scale when buying parts — a logistical nightmare that the Malaysians are reportedly facing. Different aircraft also means different skill-sets for both flying and maintaining them. This complicates training, and requires adjustments in manpower. On the subject of spare parts (e.g., aircraft, ships, etc. ), we also discussed that here before without a satisfactory resolution. Individual components have programmed lifetimes. So theoretically, it should be possible to know when a particular part will have to be replaced. Such a well ordered state of affairs fits in well with Order Agreements, and Order Agreement Lists stipulated by GPPB Resolution No. 06-2005, Annex A. However in reality, equipment do not just fail based on programmed lifetimes. This is particularly true in a military organization where the high tempo of operations for individual equipment, dictated by a low inventory, and the constant prospect of battle damage can completely disrupt time tables. This is also true damage that result from human factors (e.g., mistakes, failure to follow procedure, etc.). This is actually a downward spiral. A portion of equipment is down because of lack of parts because they take so long to acquire, this means that whatever is operational is used for much longer thus increasing wear. When they do finally go in for maintenance, much more of the of the equipment has to be repaired, this plus how long it takes to acquire parts, means that is stays in the shop for longer than it should. This then means even fewer operational equipment . . . which means more wear for whatever is left . . . The aforementioned resolution requires the purchasing agency to list all the parts that it requries in an OAL list, open that list up for bidding, and then enter into a 1-year agreement with the winning manufacturer. There are a multitude of issues with this procedure. First, the vast majority of the AFP’s equipment is foreign. That means whatever parts they require will have to be imported. The specialized nature of these components means that whatever local suppliers of these equipment are on-hand, will arguably not keep them in-stock in sufficient quantities. What supplier would commit to a one-year freeze on the price of components given the prevailing foreign exchange instability? If a supplier would bite, you can expect a hefty premium built into their bid submissions, an price buffer that will adversely impact the AFP’s ability to acquire spares in quantity. Second, the enumeration of individual parts in the OAL. A small trainer aircraft reportedly has over 100,000 parts, from blots, panels, wires, wire tie-downs, etc. This is significantly more complicated than for complicated aircraft and even ships. Is that really practical? Technically oriented services have reportedly been able to get by with piece-meal bid invitations for individual, or groups of parts. A tedious process that not only adds cost but time to the process. A blanket Service Support Agreement is reportedly one method that logisticians are looking at, but it is not clear (in fact unlikely) that this solution is compatible with the procurement law. As of writing, the matter of a middle ground between improvement of the law, and its outright abandonment, remains elusive.